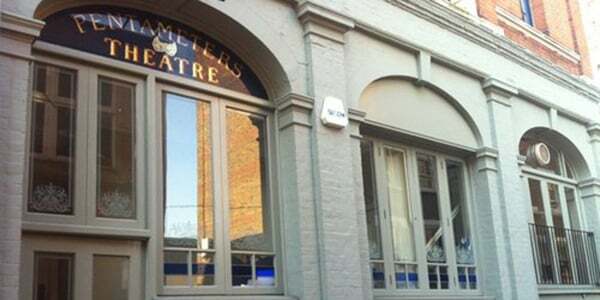 The Pentameters Theatre began its life in an old skittle alley in August 1968. It moved to two more locations before settling in its current home above the Three Horseshoes pub in October 1971. Its original intention was to present poetry readings (featuring artists like Ivor Cutler, Fran Landesman, and Ted Hughes), but theatrical presentations began in 1969. The Pentameters has also hosted early performances from comedians such as Rik Mayall, Nigel Planer, and Alexi Sayle. In recent years, the theatre in known for its many classic revivals, and the work of its touring company Traffic of the Stage.